Eecol Electric is a part of multinational Wesco and manufacturers amongst others, electricity modules for various industries and have well-know reputation for delivering good quality solutions to their costumers. 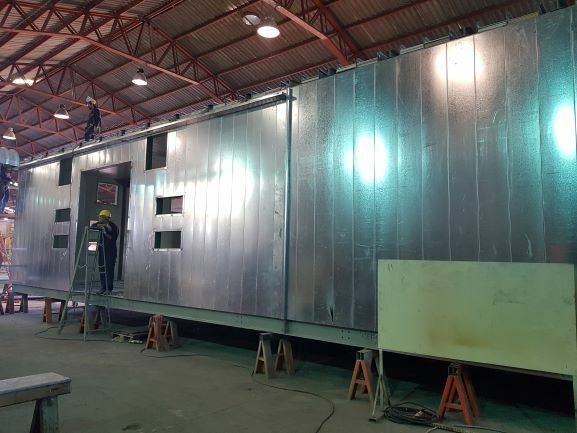 It is therefore no surprise that they have selected Transocean Coatings for providing them wiht high quality coatings solutions to protect the modules, which are exposed to the harsh climate in Chile as for instance exists in the Mining sector. During a recent visit of Transocean staff to the Eecol production site in metropolitan Santiago, Eecol's Quality and Service manager, Sr Nicolás Hernádez showed the production workshop and the various projects they were working on. 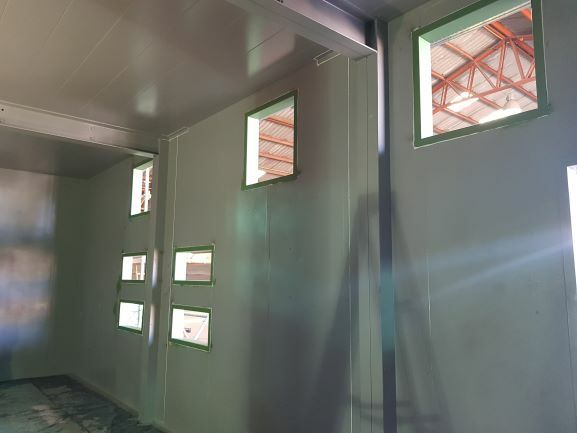 Typically their container modules consist of a steel beam structure in combination with galvanised panelling. The steel structures are externally blasted, primed with Transpoxy Universal Primer 1.71 and transported to the Eecol workshop for further processing. All galvanized metal completely handled by Eecol and consist of degreasing, sanding and painting with Transpoxy Universal Primer 1.71. The picture shows a module construction for Albermarle where parts are already painted with the subsequent Transpoxy Masterbond in grey while some other parts are still in Transpoxy Universal Primer (green ). Note the meticulate attention of Eecol to welds seams, corners and plating joints which are treated properly enabling not only a longer lifetime of the coating system but a nice appearance of the finished module as well. All floor areas are protected by Transpoxy Masterbond in a non-skid version. 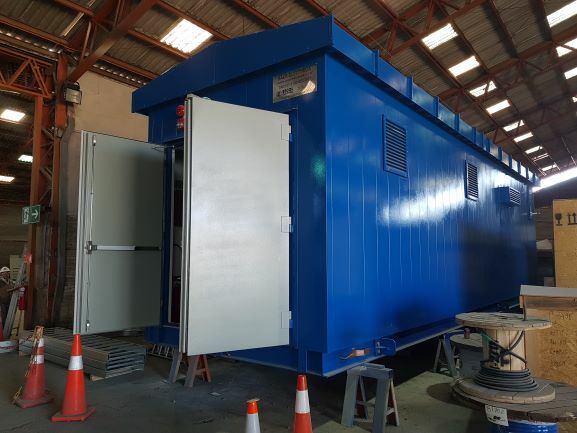 Transothane Finish is used for completing the paint system and an example is provided in the picture on the right, showing a completed module for Anglo-American mining company. Transocean products in Chile are manufactured and marketed by Pinturas Delfin, the exclusive partner for Transocean in Chile. Pinturas Delfin offer products from the protective as well as marine line of Transocean and have distribution points through whole Chile. Please note Pinturas Delfin and Transocean Coatings will be present with a booth on Aqua-sur, held form 17 - 20 October in Pt. Montt.